The rapid advance in technology in the past decades has brought about the emergence of numerous mobile casinos, allowing players to enjoy their favourite games from the comfort of their surroundings at all times. Gone are the days when players were required to visit landbased gambling venues to place a few bets on roulette or play a couple of blackjack hands. Today, gambling enthusiasts are just a few taps away from winning life-changing prizes. Most well-known casino brands in the online gambling industry either offer native mobile applications for a free download or have websites that are compatible with widespread portable devices running on iOS, Android and Windows. Playing the mobile roulette variations does not differ from enjoying the popular game of chance on your computer. In fact, the greater convenience mobile roulette offers is the only difference. The mobile variations of roulette are quite similar to the existing online casino versions of the game. While popular gambling software developers are not trying to reinvent this classic game, they aim to further players’ convenience. This translates into adapting different roulette variations so that they fit the smaller screens of mobile devices. Players, who have already registered at a given online casino that is mobile-responsive are not required to open a new account in order to enjoy roulette games on their smartphone or tablet. They can play on the go by logging in with their existing account credentials. What is more, all reputable mobile casinos provide their customers with the option to manage their accounts, process deposits and withdrawals, and claim various bonuses via their portable devices. In fact, some bonuses are available only to players who register via their mobile phones or tablets. In some cases, players who enjoy the games on the move are provided with adequate customer support via the live chat functionalities. However, in order to play roulette on the go, you are required to have a stable Wi-Fi, 3G or 4G connection. Installing an up-to-date version of the Flash player is also recommended if you wish to run the games smoothly on your mobile device. Most established casino operators are compatible with widespread portable devices running on iOS, Android and Windows. In many cases, roulette players can also load the games on their Blackberries as well. There are two options to choose from if you want to play on your mobile device. Many online gambling operators have adopted the HTML5 platform, which is great news for players who lack memory space or simply do not wish to install any additional software on their devices. What is more, mobile casinos using the HTML5 platform are compatible with all portable devices including Apple, Android, Windows and Blackberry phones and tablets. All you have to do is type the casino’s address into your phone’s internet browser and you will be automatically redirected to the mobile version of the website. Then again, there is the option to install the native downloadable applications offered by some of the most popular gambling operators, like 888casino for example. Many online casinos offer iOS applications which are available for a free download in the App Store. Android users, on the other hand, can find applications, compatible with their devices, directly at the casinos’ websites. It is impossible to download the Android apps from the Google Play Store due to the company’s policy which forbids offering real-money gambling applications for a free download. In some cases, players are required to scan a specific QR code in order to download the application. On other occasions, casino operators send download links for the applications via email or text messages. Playing roulette on your smartphone or tablet comes with a great number of benefits. Needless to say, convenience is one of the biggest advantages of enjoying your favourite roulette variants while on the go. You can log into your casino account, make a deposit and play from all places, at all times. The only requirement is to have a stable internet connection. Additionally, the mobile roulette variations stand out with clear, authentic visuals, great sound effects and smooth gameplay. Depositing funds into your account is just as simple as boosting your balance from your personal computer. You can scoop up a huge prize with a few taps on the screen and request a withdrawal via your portable device. More importantly, some of the most popular online casino operators in the industry reward players who open an account via their smartphone or tablet with exclusive mobile Welcome bonuses. All popular online casino operators provide their players with the opportunity to enjoy their favourite games while on the move. With so many options at their disposal, players are often overwhelmed and experience difficulties in deciding which mobile casino to register at. That is why, we have compiled a short list consisting of five of the most popular mobile casinos where you can play roulette on the go. Established in 2012, BGO Casino is relatively new to the online gambling scene. Despite that, the casino operator has earned a great reputation among players thanks to its reliability, diverse gaming catalogue and fairness to players. You can rest assured BGO Casino is a legitimate online gambling destination as it is licensed and regulated by the Alderney Gambling Control Commission and the UK Gambling Commission. BGO Casino offers free downloadable applications for devices, running on iOS and Android. Yet, players can also enjoy the games directly through their mobile devices’ browsers since the website is mobile responsive. Roulette fans can even put their luck to the test against real croupiers by visiting the Live Dealer section via their portable devices. Casumo Casino stands out with intuitive instant-play interface and offers players a wealth of high-quality games, developed by some of the leading software providers like NetEnt, Play’n GO and Microgaming. The casino is also home to the bespoke “Adventure” promotional system. The gambling operator’s portfolio encompasses a mind-blowing number of slots, video poker variants, and classic table games, which impress players with utmost authenticity and hassle-free gameplay. Since the casino runs on the HTML5 platform, there is no need to download or install any mobile applications. When you load Casumo Casino in your phone’s browser, you will be redirected automatically to the mobile version of the website. The latter works smoothly on smartphones and tablets, operating on iOS, Android and Windows. Roulette fans will be able to enjoy Evolution Gaming’s variation of the game. With nearly twenty years of experience in the online gambling industry, the name of 888casino is familiar to millions of players across the world. The casino offers secure gaming environment as it is licensed by the Gibraltar and the UK Gambling Commissions. If you are willing to play while on the move, you can download and install 888casino’s native mobile applications for iOS and Android devices. Of course, loading the games directly in your phone or tablet’s browser is also a convenient option. Players, who register through their portable devices and deposit for the first time, are rewarded with a 100% Welcome bonus of up to £140. 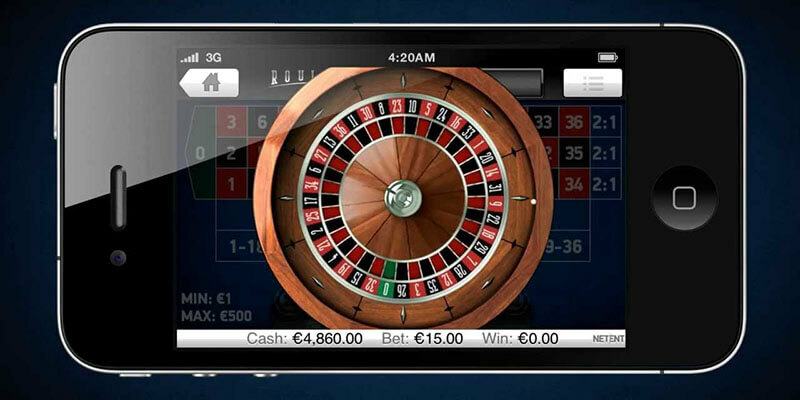 Roulette fans can enjoy American, European and Low Stakes Roulette on their mobile devices. Thrills Casino attracts players with its sleek, user-friendly design, lucrative bonuses and promotions and a portfolio of over 700 premium-quality games, developed by key software suppliers the likes of NetEnt, Betsoft, Microgaming and NYX. In addition, players are provided with a secure gaming environment since the casino holds licenses, granted by the Malta Gaming Authority and the UK Gambling Commission. Thrills Casino caters to the convenience of its registered players by allowing them to make their bets from all locations, at all times. The online gambling operator is compatible with widespread devices running on Windows, iOS and Android. What’s more, there is no need to download and install any specific applications on your smartphone – you can load the casino in your browser. The mobile portfolio includes a nice range of enticing slots, video poker variations, blackjack and of course, several enticing roulette titles, including Multi-Wheel, French, American and English Roulette. Players, who register at 32Red Casino, will be able to choose from a diverse gaming catalogue that spans over 500 quality titles. The casino runs on software provided by industry leader Microgaming and holds licenses, issued by the Gibraltar and the UK Gambling Commissions, which further cements its reliability. The available gaming options include over 200 video slots, numerous video poker variations and of course, many classic table games like blackjack, poker and roulette. Also, traditional games like baccarat, blackjack and Casino Hold’em Poker are streamed in real time in 32Red’s Live Dealer casino. Players can fund their accounts via one of the many secure and convenient methods of payment, but if you happen to experience any issues with your deposits or account management, you can always reach the friendly support team representatives as they are on standby at all times. Of course, 32Red Casino is fully mobile responsive so you can load the website directly in your portable device’s browser without installing any specific application. 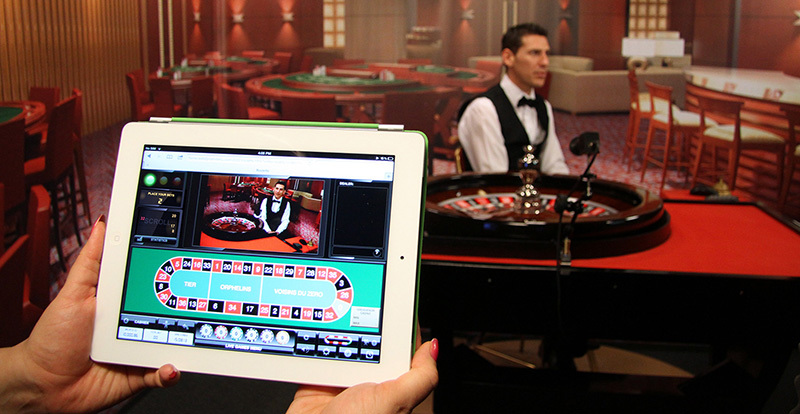 The online casino runs smoothly on iOS, Android and Windows-based smartphones and tablets. Downloading and installing the casino’s native iOS and Android apps is also an option. Roulette fans can enjoy quality variations of their favourite game like European Roulette Gold, Premier Roulette and Premier Roulette Diamond Edition.